BHS Back to School Night: Tuesday, September 18th! ELAC Meeting: 6:00 pm in Portable D! 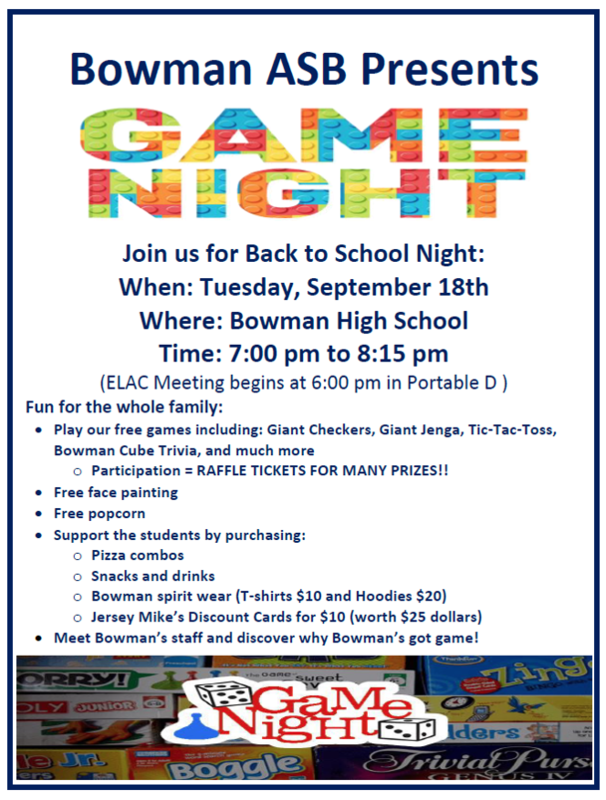 Game Night: 7:00 - 8:15, students, families and friends welcome!